The Civil Services Preliminary exam comprises of two compulsory papers of 200 marks each. General Studies Paper I and General Studies Paper II. 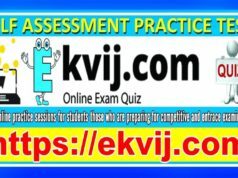 Online exam for professional and competitive exams. The marks in prelims will not be counted for final ranking, but just for qualification for the main exam. To apply for the UPSC CSE 2019, applicant must have qualified graduation level course or its equivalent from a recognised university/ institution. The UPSC recruitment consists of a three-level exam including prelims, main and interview. Candidates have to qualify all three levels. Candidates interested for UPSC IAS/ IPS/ IFS can apply for the examination online. The application forms will be uploaded online at the official website of UPSC at upsc.gov.in.